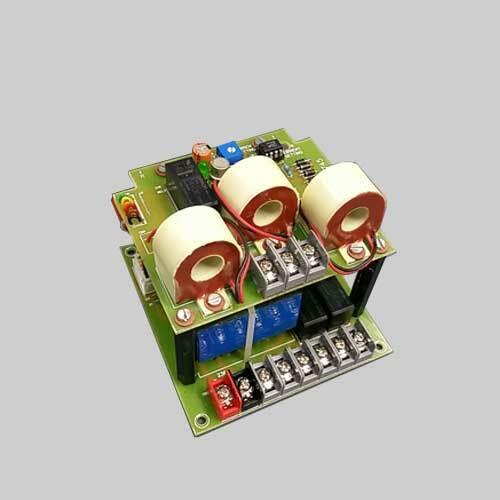 Heater failure relay has application of monitoring current of three heaters simultaneously. Each heater has adjustable set point preset and corresponding relay output with NO/NC contact. In case of heater coil failure relay will trip and potential free contact can be used to interface with PLC for fault detection. Three CT (20Amp) with three relay with NO/NC contact can be integrated in the system.